Virginia Tech is the best three-pointing team in the ACC. Four of their five starters can hit from deep with regularity. But they don’t just play on the perimeter. They know how to work the high post, cut back door, find open kick outs and make the extra pass. It all materializes in an ACC-best 42% success rate on three point attempts. In a 78-56 win for the Hokies over SU on Saturday, they shot 46.7% from the arc. Syracuse’s 2-3 zone spent most of the game scrambling, and the offense provided no relief. The Orange fell to 5-2 in the ACC and had their three game win streak snapped. Not only is the VT offense perfectly suited to beat the zone, but their defense is predicated on pressuring guards on-ball. 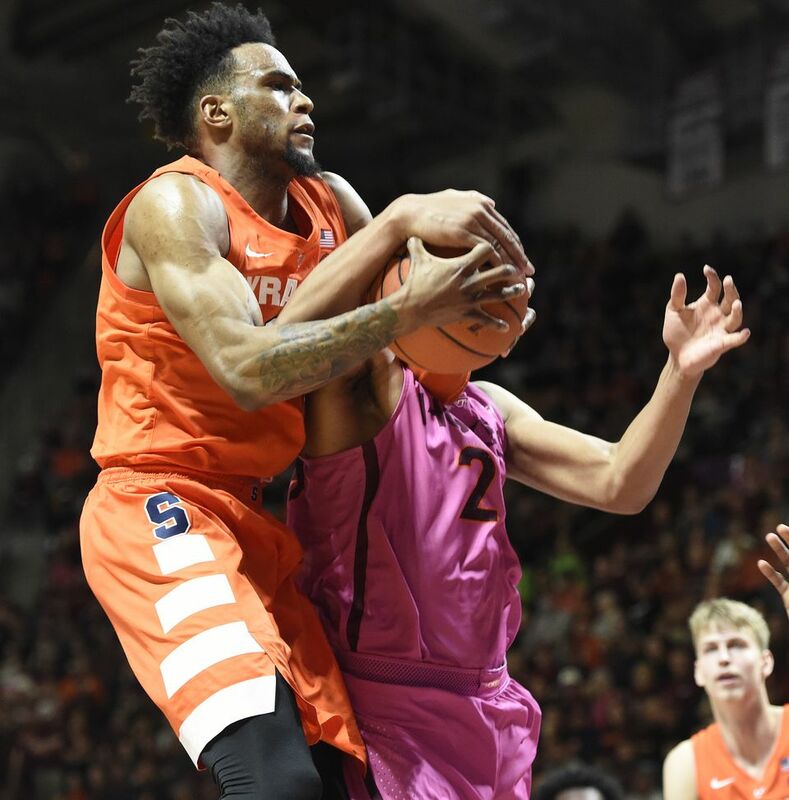 The best way to score on Tech is to pound the ball inside and play with physicality, and we all know Syracuse, led by Paschal Chukwu and Marek Dolezaj at the center position, has no chance at executing that game plan. Virginia Tech’s mega senior Justin Robinson had a career night, dropping 32 while tying a program record for nine three-pointers made. His eight helpers also pushed him past the program mark for all-time assists. The Hokies leading, Nikeil Alexander-Walker, played in the high-post for the majority of the game and played a distributing role, tallying 8 assists. There’s no real silver lining from a Syracuse perspective, but Oshae Brissett had a plethora of strong drives in a 16 point performance. That was mitigated by poor performances from Tyus Battle (3/10 FG) and Elijah Hughes (2/13 FG) coming off a 22 point performance against Pittsburgh. This game was an opportunity for SU to thrust themselves into the Top 25 conversation and comfortably inside the bubble. But comfortable is just not a word that can be used to describe Syracuse’s season. It’s time to stress… as usual.